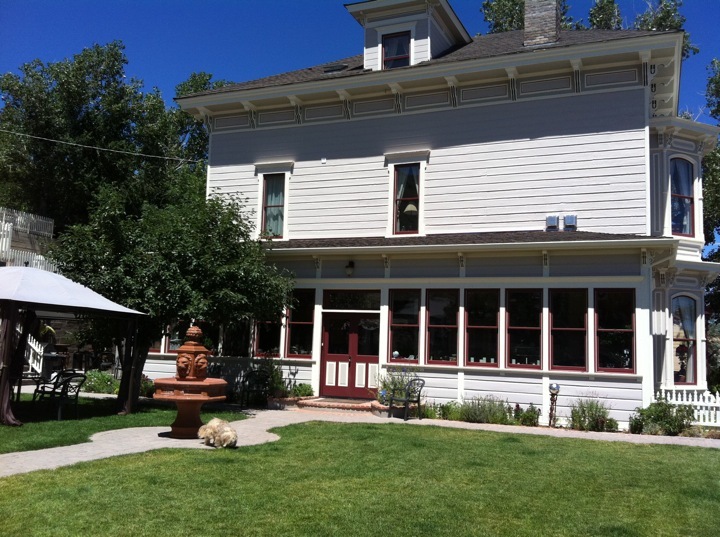 Started out in Virginia City at the Cobb Mansion, owned by Jeff & Paul (buddies from Loreto). Friend Carol (used to be from Loreto) flew in from her new home in Austin and we partied and took in the sights for four days. Met new friends, got to hang out with Lacy J. Dalton, and wandered around Virginia City. Next stop : Idaho. My sister Claudia lives in Bellevue, and friend Cynthia (from San Juanico) has a summer home in Hailey. Buster got reunited with his Baja dog buddies, Pancho and Chica, and Cynthia I had some fine hikes in the Sun Valley area. Even took in an outdoor symphony! Claudia and husband Jimmy kept saying ‘stay’ .. so I did. Jimmy took us flying, Claudia and I floated Silver Creek in their canoe, we took the canoe up to Petit Lake and paddled in ferocious winds (reminder : Jimmy : get another lightweight paddle! 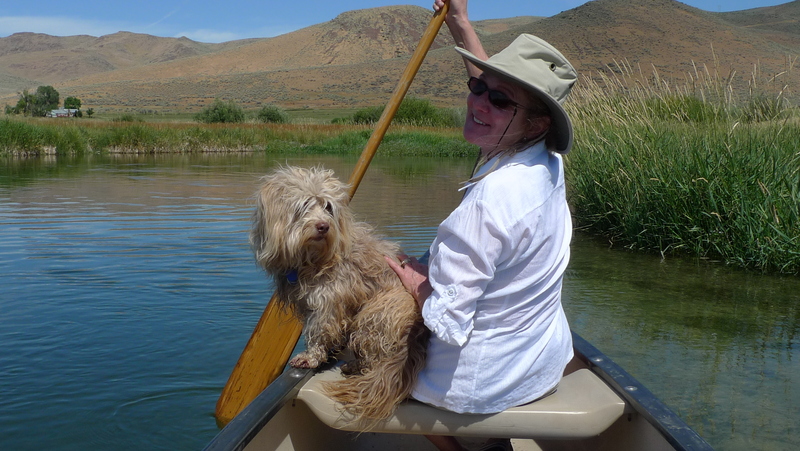 ), took more dog walks, and then took the big boat out to Magic Reservoir and fished, swam, lunched and laughed. Alan, from Laguna Beach, showed up in his RV with his kids in the midst of their summer drive. He and daughter, Lili, joined Claudia, Denise (a Laguna Beach girl from way back) at Z – a sushi spot that has killer rolls. It was hard to leave sunny Idaho – but I had a bug to go and visit Lila and Diedre in Bandon, and Buster and I took off on small roads, large roads, any roads .. exploring the eastern section of Oregon. Beautiful country. We stayed in Bend, drove to and sort of around Crater Lake, and on to the Oregon Coast. Since I hadn’t planned on Oregon, I’d left surfboards, paddleboards and wetsuits at home. BIG MISTAKE! There was surf, rivers to paddle and just good fun that next trip, I’ll be sure to be better prepared. In Bandon, I ran into Norm, who spends his winter’s kite surfing and/or surfing surfing in Baja. Such fun to see friends I know from Mex in out of the way corners of the USA. I missed ‘home’ .. I didn’t miss the overwhelming heat that blanked the peninsula this summer. There was one day when the heat index was 135°. Okay, that might not be quite human! Glad to be heading south this week. Can’t wait for whatever surprises wait for me. Time to touch that magical Sea of Cortez. This entry was posted in Casa de Catalina, Family & Friends, Girl's Getaways, Sea of Cortez, Surfing. Bookmark the permalink.